This is a guest post from Amy, who enjoys exploring cost-effective and fun-filled options to create a great lifestyle. She is a tabletop fountain artist as well as a full-time student. Amy invites you to browse her most recently launched collection of solar fountains for patio and garden enthusiasts to save money on energy-costs. Vacations are one of the best ways to rejuvenate and replenish your spirits. Proactively planned and thoroughly researched vacations can give you a “time-of-your-life” experience while saving you a ton of money. Here are the five easy ways you can have fun-filled and relaxing vacations without breaking your wallet. Consider staycations – a local vacation, often times known as staycation, has become a popular concept in last few years because of recession. It simply means discovering the fun-filled activities in your local area. A nearby water park or amusement park, local museums, natural parks, picknicking are just the few examples of how to have fun locally. Visit Goby.com to browse the local activities of your interest – It’s a search engine for creating your own adventure. Grab the Entertainment book of the city that you plan to visit. You may find the Entertainment book of your destination travel city from your local Barnes and Noble store or just browse Amazon for it. The Entertainment Book covers most of the major metropolis in U.S and Canada. Each major metropoly has an Entertainment Book dedicated to it. These Entertainment books have several money-saving coupons of local businesses, restaurants, and adventures. On average, an Entertainment books saves you about $175 on your total trip expenses. Don’t forget to use your membership benefits when you travel. AAA membership, Alumni membership, and employer membership are some of the most common membership organizations that result in vacation savings. You don’t have to invest in timeshare to be able to take advantage of its benefits. Consider borrowing timeshare of your friends or family. Most of the timeshare companies offer a lot more vacation time than its owners can use. Instead of letting it go to waste, your friends or family would be happy to let you use it. Borrowing a timeshare would certainly save you big bucks on your vacation. Browse websites like “Cities On The Cheap” for the city that you are planning to visit. “Cities on the cheap” sites include several cost-effective family entertainment options like concerts, art performances, and movie coupons. Visit citiesonthecheap.com for more information. If planned carefully, you can save significantly on your vacation. A typical American family spends about $1500 to $2000 on summer vacation every year. Frugal vacations are not by any means taking away the fun from your vacation. 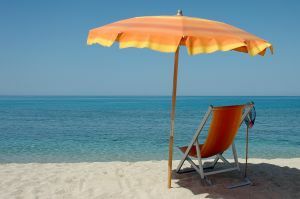 Kelly says: You can probably guess that I am a fan of vacationing as frugally as possible! But I also happen to have the misfortune to like/need to travel to expensive destinations. One of my favorite cities ever is London, which is not known for being cheap. Not to mention the small matter of going to see my family every once in a blue moon- summer airline tickets for our family of five could cost more than â‚¬5,000 (we’ll go at Christmas time, when it’s less expensive). As summer draws nearer, it’s not too early to start thinking about your own travel plans! What are your favorite frugal vacation tips? I am a big fan of ‘staycations’. I find travelling to be exhausting- fun- I love it- but exhausting. So some vacations I like to recharge by staying home and doing nothing. A staycation doesn’t have to be busy and go, go, go either- we like to just go to the park, have picnics, and spend time together. The last vacation we ‘took’ like that was really rewarding. And I second the tip about the entertainment books- the last time we went to the US I bought one for each city we were in and it saved us quite a bit of money. I also look for coupons on the internet in advance- we saved a bundle of zoo entrances to the London and LA zoos (not on the same trip!). My wife and I are looking for a low cost vacation this year – right now we are looking hard at cruise specials and talking to vacation rentals with individual owners – they tend to be willing to negotiate if their rental is vacant anyway.